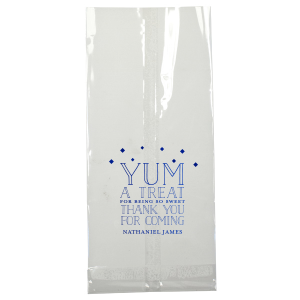 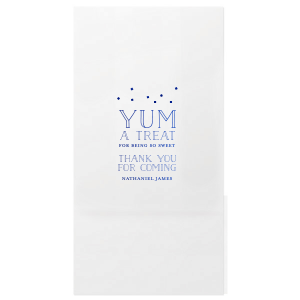 Say thanks for coming with a delicious treat in your very own personalized bags. 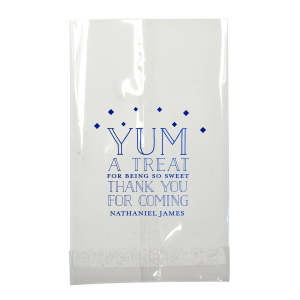 Stick with this blue foil or choose another color to match your theme. 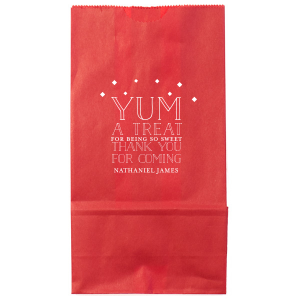 You'll have them saying "Yum!" 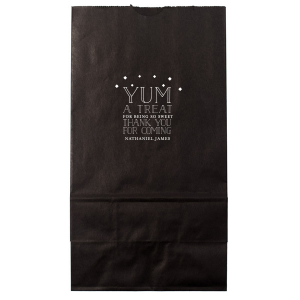 all the way home. 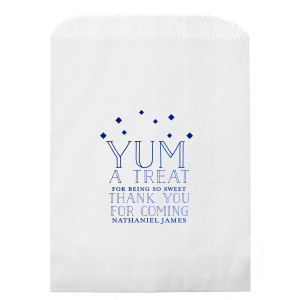 With our casual block font and diamond confetti design, this is perfect for any birthday, mitzvah, graduation and more.